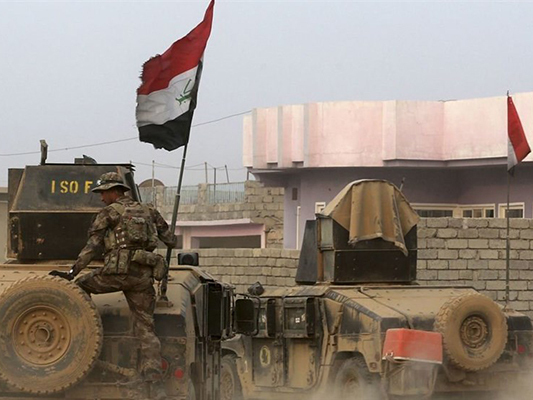 Iraqi forces retook a key town from Daesh (ISIL) Monday, a crucial objective on the southern front of the offensive to wrest back the city of Mosul. Federal police, army and elite interior ministry forces established full control over Hamam al-Alil, the last town of note on the way to Mosul from the south, AFP reporters said. It lies on the west bank of the Tigris River, about 15 kilometers (nine miles) southeast of Mosul. Iraqi forces have already entered Mosul from the east and were moving close to the city limits from the north Monday but have some distance to cover on the southern front. Life quickly resumed in Hamam al-Alil, an AFP cameraman reported, with some residents re-opening shops and other bathing in the town’s sulfur springs. Soldiers could be seen helping some displaced civilians with their bags. The recapture of the town clears the way for Iraqi forces to push further north and move to within striking distance of the southern neighborhoods of Mosul. Mosul’s southern approach is home to the international airport, a vast military area and a large base that Iraqi forces were forced to flee with ISIS took over the city in June 2014.